If you are considering subscription satellite television in your home, then Sky has the channel choice which means you can tailor a package to suit your needs. with no extra equipment required. 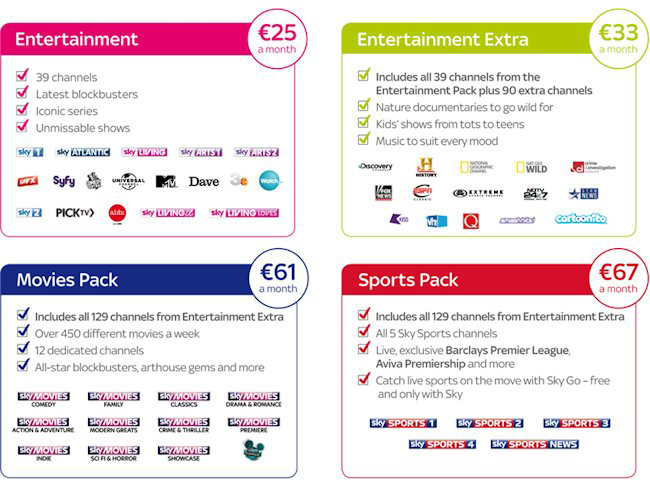 There are a variety of viewing packages from Sky which means you can tailor a package to suit your needs. If you are interested in Sports but not documentaries or if you are a Movie fan but want to avoid 24 hour news channels then Sky lets you choose a package based on your own preferences. AV Services look after all aspects of the equipment required including the fitting of a mini dish and tuning in your Sky box. All work is carried out by professional engineers at a date and time that suits your schedule.